Mike Mussina's career seems to have been marked by bad timing. In the process of working my way through this project, I've already written about other pitchers from the last thirty years having to face unfair comparisons to Rogers Clemens, Greg Maddux, Randy Johnson, and Pedro Martinez, four of the dozen or so greatest pitchers in history. Mike Mussina also spent his entire 18-year career in the higher scoring American League, during just an era when offense ruled baseball. Mussina played for good Orioles teams that were stymied in the ALCS. He joined the Yankees in 2001, when they'd won four of the last five World Series. 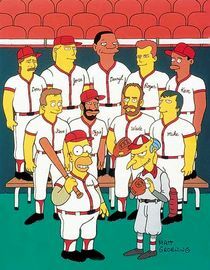 They made the postseason in seven of his eight seasons there, but didn't win the World Series. Mussina won 20 games and posted a 3.37 ERA in 2008, but decided to retire, giving him the best final season by any pitcher since Sandy Koufax. The Yankees proceeded to win the World Series in 2009. As I said, bad timing, and that probably goes a long way towards explaining why Mussina doesn't get his due. And to be clear, Mussina doesn't get his due. In his first three years on the Hall of Fame ballot, he's peaked at 43% of the vote (with 75% needed for induction). Tom Glavine and John Smoltz each cruised into Cooperstown in their first year on the ballot, and I think Mussina was better than either of them. I'm obviously in the minority there, and an even smaller number of people would put Mussina's career ahead of those of Mike Piazza and Derek Jeter, the two players I have just behind Mussina on this countdown. I think most people just fail to grasp the context of Mussina's numbers, and then make unfair comparisons to the pitchers I mentioned at the top. Pitcher wins are a pretty stupid statistic, and shouldn't me important in making the case for a pitcher's greatness, but if they're going to be a part of the argument, Mussina's 270 wins should be a big plus for his case, not a minus. No, he didn't win 300, long viewed as the magic number for pitcher wins*, but since Mussina made his MLB debut on August 4, 1991, the only pitcher with more than 270 wins is Greg Maddux. Mussina's win total is elite for the era of five-man starting rotations, and specialist relievers. 1) The 300-win pitcher may not be extinct, but it's also possible that it is. Bartolo Colon leads active pitchers with 227, but he's 43 years old. CC Sabathia is next, with 220 wins, but only 15 of those wins have come during the last three seasons, which makes it seem pretty unlikely he's got another 80 wins in him. No one else has more than 173, and no one younger than 32 is even halfway to 300. Felix Hernandez (148 wins, 30 years old), Clayton Kershaw (125 wins, 28 years old), and Madison Bumgarner (95 wins, 27 years old) could each get to 300 by winning 15 games a year through their age-40 season, but now we're looking a decade or more down the road. Pitchers don't start as many games or pitch as many innings per game as they used to, making wins harder to come by, and 300 may be obsolete. 2) The 300-win mark has never really been the bar for entry to the Hall of Fame. There are 63 starting pitchers in the Hall of Fame, and only 23 of them (36.5%) won 300+ games. The median number of career wins among those 63 pitchers: 260. Furthermore, Mussina spent his entire career in the American League, which for decades has been the tougher league to pitch in (largely because of the designated hitter). The only pitcher with more American League wins since the DH was introduced in 1973: Roger Clemens. In fact, Clemens is the only pitcher with more AL wins than Mussina since the end of World War II. Mussina's career ERA would be lower, and his career strikeout total would higher, if he'd spent all that time in the Natioanl League instead. Mussina would be in the Hall of Fame already if he'd won 30 more games, and given that he won 20 during his final season, there's a pretty solid chance he could have stuck around and reached the benchmark. As I mentioned in my second aside above though, only 270 wins has never been a disqualification for entry to the HOF. If it's not a lack of wins, what's holding Mussina back? I would guess it's his career ERA of 3.68, which would be the second-highest among starting pitchers in Cooperstown, were he a member. Again though, we need to look at that in context, accounting for Mussina pitching in the tougher league during an era of tremendous offensive numbers. ERA+ accounts for exactly those sort of things, along with the particular ballparks a player pitched in. Mussina's career ERA+ was 123, which would place him in the top half of all Hall of Fame pitchers. It's the same ERA+ that Juan Marichal had, in a career with almost exactly the same number of innings pitched. He finished in the top ten in the American League for ERA (and for ERA+) in eleven different seasons. He finished in the top five in seven different seasons. The strange thing to me is, that while baseball writers have shown little interest in voting him into the Hall of Fame, Mussina was not overlooked by them during his career. He received mention in the Cy Young voting in nine different seasons, more than almost any other pitcher since they created the award. **Cy Young balloting first included space for three pitchers in each league in 1970, so this list isn't really applicable for pitchers before that time. Still, we're looking at near half a century's worth of voting. The other four pitchers on that list are probably the four best in baseball since World War II. Mussina wasn't in their class, but it really is only pitchers of that caliber that you can hold up as clearly superior to him. 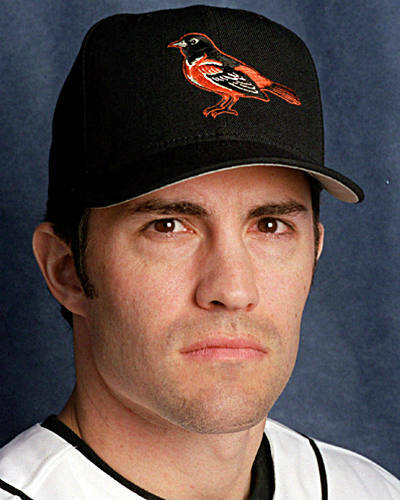 Mussina never won a World Series, but he pitched 139.2 postseason innings over nine different trips to the postseason, two with the Orioles, seven with the Yankees. He posted a very good 3.42 ERA in those appearances, and went 7+ innings in more than half his postseason starts. In 1997 he out-dueled Randy Johnson twice in the ALDS, and was then excellent in both of his ALCS starts, including an American League postseason record 15 strikeouts in Game 3 and eight shutout innings in Game 6. The Orioles couldn't score off Cleveland in those two games though, and lost them both. If they manage a couple more runs in those two games, Mussina is ALCS MVP, Baltimore advances to the World Series and maybe wins it, and the Mussina narrative today is different. Instead, bad timing and a misunderstanding of context work against Mussina. In addition to his excellent pitching, Mussina was a fantastic fielder as well, winning seven Gold Gloves and scoring well with the advanced defensive metrics. A pitcher's defensive skills tend to be overlooked though, even in the case of one of the best ever to field the position. Mike Mussina is almost always left out of discussions about the best players of his era. He shouldn't be.